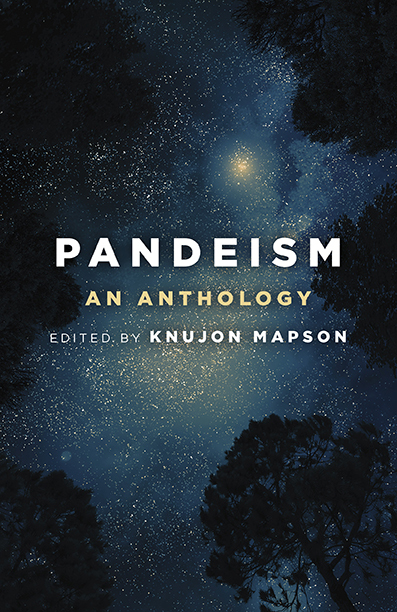 Throughout its history, Pandeism has drawn both a critical and comparative eye from adherents to other theological models. The conventional practice in organizing comparative religious literature seems to be to order pieces so that conventional Westernworld views are given prominence. Here, we upend this tendency by putting ahead of these the analysis from what is likely the the oldest religion on earth, Hinduism. Other views presented encompass some nontraditional approaches to mainstream belief systems as well. In “Hindu Dharma—Living on the Edge of Infinity,” Sushma Sahajpal illuminates the viewpoint of Hinduism, often misunderstood or misrepresented in Western frames of thought, and examines how its theological propositions tend to compare to those of the pandeistic model. “Beyond Creator and Universe: From Pandeism to Ismaili Muslim Neoplatonism,” by Ismaili Gnosis, makes a case for a particular interpretation of Islam over Pandeism. In “Omnientheism: God According to Biblical Universalist Unitarianism,” Orlando Alcántara Fernández makes a spirited plea for the soulfulness of theistic thought against the harsher light shone by Deism, Pandeism, and Panendeism. William Walker Atkinson, with his chapter, “Axioms of Reality—Concluded,” sets his early twentieth-century ‘New Thought’ ideas against Pandeism, arguing against both the evidence for it (as compared to his own view) and potential effects of its adoption. And lastly—but hardly least—we close with the view from what is modernly the strongest challenge to theistic faith, with “An Atheist Critique of Pandeism.” Here, Dan Dana PhD contends that the same skepticism which applies to Theism leads to the same absence of evidence when applied to Pandeism.